Best USB turntables 2018 | What Hi-Fi? ...as these USB turntables prove. Your vinyl is vulnerable and valuable, after all, so why not preserve your collection in the form of digital files (especially since a lot of vinyl tracks are tricky to hunt down on streaming services)? 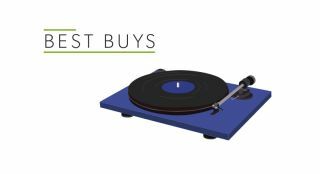 These USB turntables not only offer this functionality, but they sound great for their price too. Articulate sound plus ease of use make this a great entry-level choice. The HX500 can rip your records into hi-res digital files and it makes your vinyl sound brilliant, too. The cheaper it gets, the more we love it. USB output, moving magnet phono stage, great sound - it would be churlish to ask for more at this money.